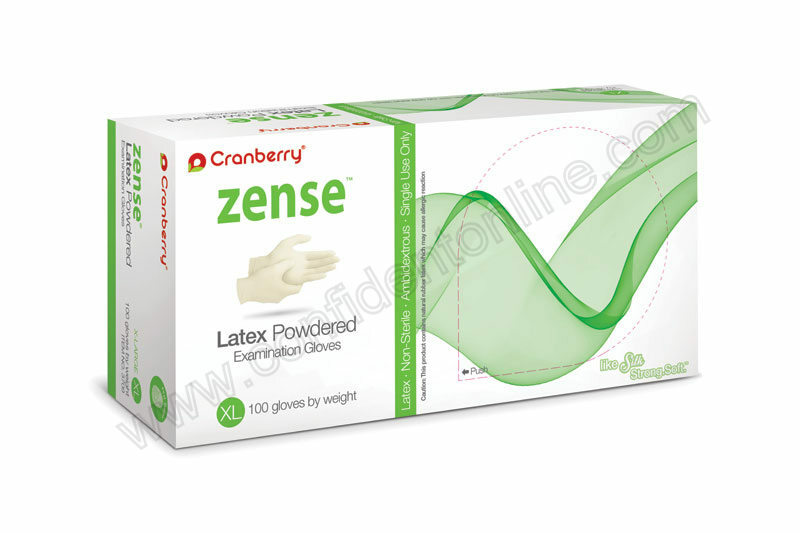 Cranberry Zense Powdered Latex Examination Gloves are lightly powdered with premium low modulus and smooth surface finish that provides excellent tactile sensitivity, strength, and dexterity. DEXTERITY & COMFORT - Low modulus for superior dexterity and comfort. Natural latex color.